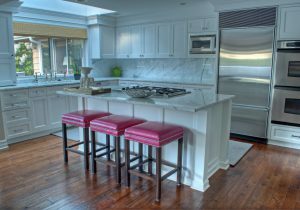 Adding the right amount of color to your home, especially in the kitchen or bathroom, can make a home feel complete. Bringing a dash of color to your bathroom can brighten up the way you live. 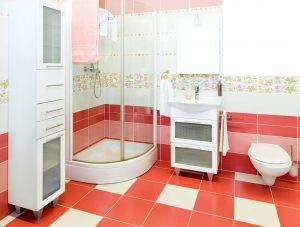 To brighten your mornings bring color into your bathroom design, use bright color tiles or accent tiles on the shower walls, colorful wallpaper or towels, or a bright picture. The Pantone color of the year is Ultra Violet, created by combing red with blue. The ultra violet hues vary greatly and can be combined with citrus, rose or bamboo. When combined with green or gray it gives a natural elegance. In our gardens we plant violets and irises that add sparkle to our landscape. Bring the color into your home with a painted wall, kitchen or bath cabinet, pictures or pillows. Whatever inspires you and brings beauty into your home. There is no limit to design and colors. Bertch cabinet manufacturer will custom color your cabinet from a piece of fabric or painting. This entry was posted on Friday, June 8th, 2018 at 10:57 am. Both comments and pings are currently closed.